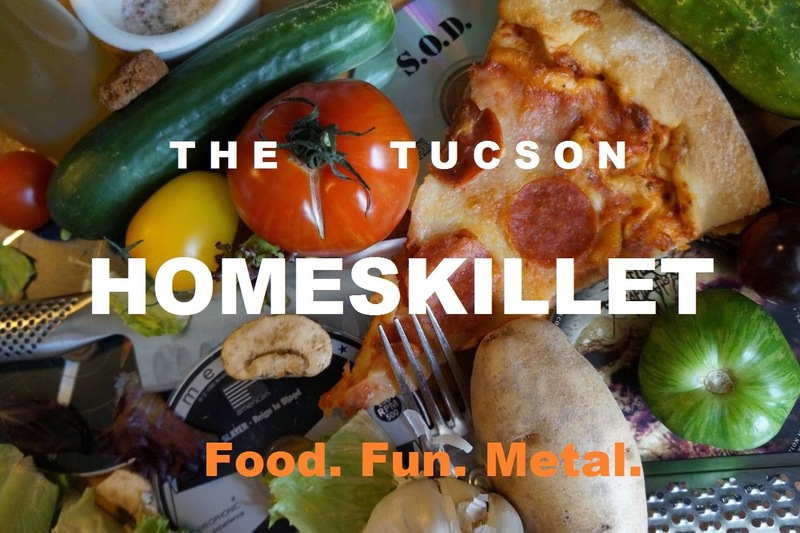 The Tucson Homeskillet: The Stars Looks Very Different Today and I Don't Want To Live Forever! The Stars Looks Very Different Today and I Don't Want To Live Forever! 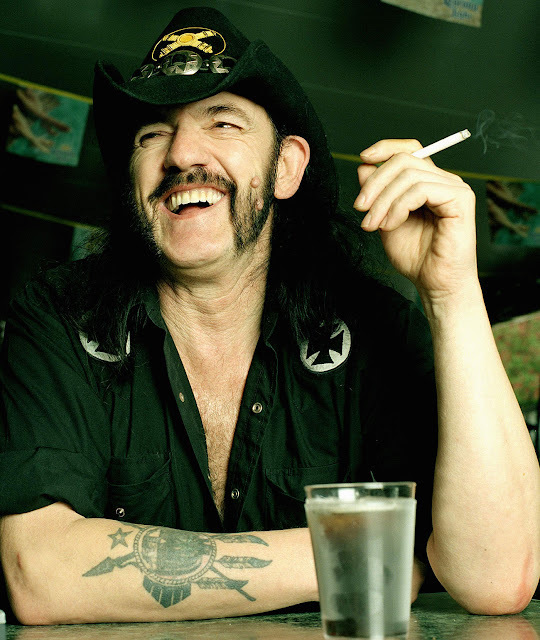 On my birthday, December 28th, just as we sat down with friends at the local pub to enjoy a toast and drink to me being on Earth for 45 years, my wife looked up from her phone and sadly proclaimed "Lemmy just died." Not a great way to start off my birthday if you ask me. I mean, we all knew he was getting up in age and wasn't in the greatest of health, but for some reason we of the Metal community always thought that man would live forever, even though in his band's most infamous song "Ace of Spades" he liked to proclaim otherwise. This was quite the bummer to end 2015. A relative good year compared to 2014 where we lost my dad, my dad's husband, She-Ra's grandmother, we had to put our dog down then our cat was eaten by a coyote. Yeah. 2014 sucked. But I took Lemmy's passing on my birthday as a sort of sign. 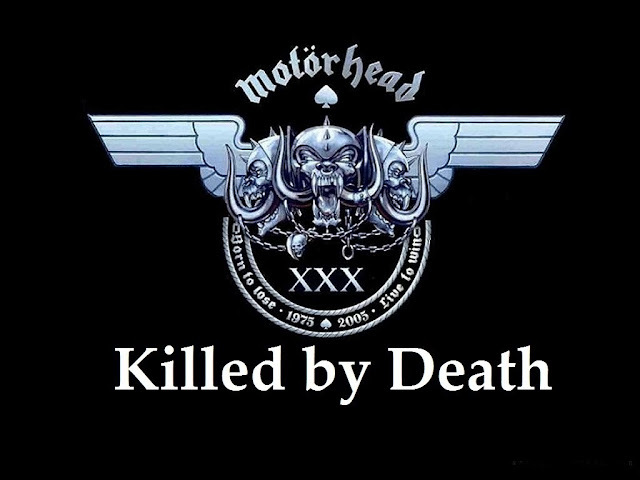 Me being Metal Mark and all and Lemmy and Motorhead being huge influences in the rock and Metal arenas, perhaps this icon suddenly becoming all too mortal made me realize that I too only have a short way in this life and to get going on all those projects and supposed goals. This website being a big part of that. So I went into 2016 with a new focus and breath knowing only good things could come my way if I persevered and tried just a little bit harder. Then, boom. David Bowie died a few weeks later. I mean...what? Again, we all knew he had put himself in relative exile from the public due to health concerns but...David Bowie? No. The Space Oddity couldn't leave us anytime soon, or ever really. But, again, there it was: the mortal spin of the clock. Even Ziggy wasn't immortal enough to avoid the rot of cancer and for that, the sun seems a little less bright without him in our world. 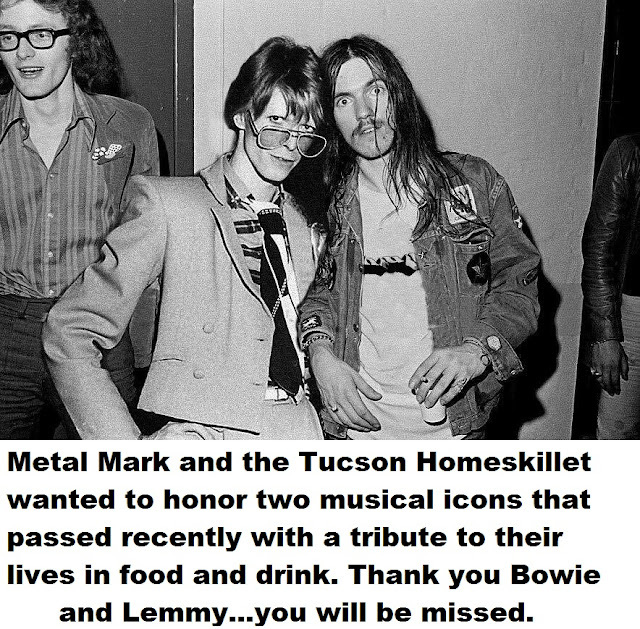 Now, I had in mind another piece for the Tucson Homeskillet but after two of my lifelong musical heroes passed within just a few short weeks of one another, I knew I had to do something special. What follows is a food and drink celebration of both David Jones (later to become Bowie as to not be confused with a certain Monkee) and Ian Frasier Kilmister, aka Lemmy of the powerhouse Metal band Motorhead (and, yes, Hawkwind, but, c'mon...). We will miss both of you very much and cannot express our gratitude for all you've done for the planet. David Bowie was a slight man. Tall, with heterochromia eyes and rather skinny. So to think this guy would actually have a favorite dish, let alone one that is rooted deep in his British heritage, seems rather daunting. But he does and it's one that is a staple comfort food for most Brits when the usual sleet continues to flurry down in its drab wet unwelcome shiver. It took some digging but I found that the slender king did love him some mashed potato topped meat and peas. Most likely a taste from home seeing as he traveled a lot and was, in one way or another, on the move. 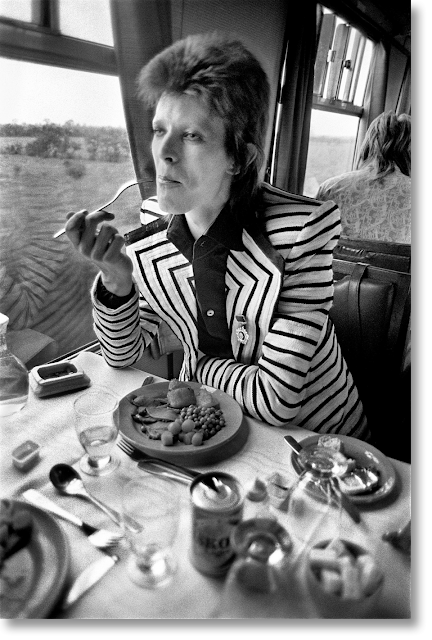 Eating exotic food all the time or just craft service during a show or shoot, I can totally see Bowie craving something simple and glorious from his home country, a dish made to keep the frozen shepherds going on long days or a hot delight coming home after that said day on the Moors. Peel the potatoes and cut into 1/2-inch dice. 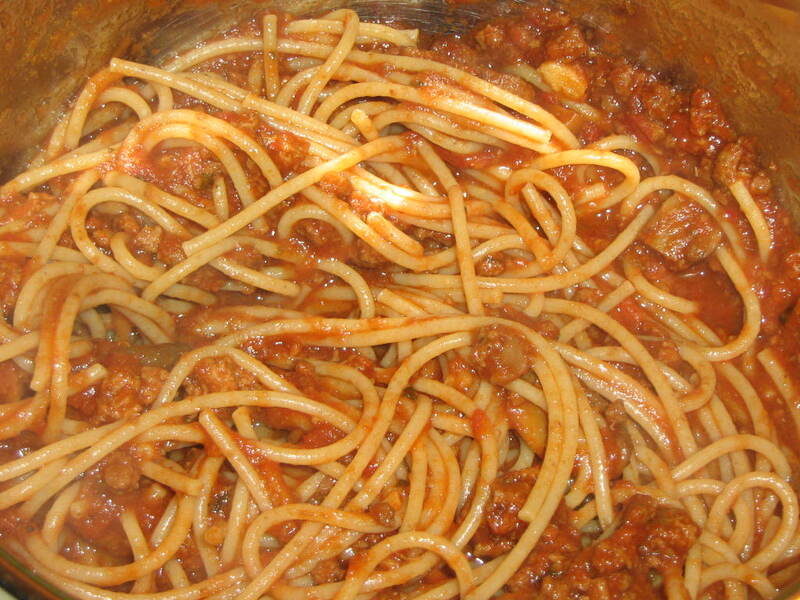 Place in a medium saucepan and cover with cold water. Set over high heat, cover and bring to a boil. Once boiling, uncover, decrease the heat to maintain a simmer and cook until tender and easily crushed with tongs, approximately 10 to 15 minutes. Place the half-and-half and butter into a microwave-safe container and heat in the microwave until warmed through, about 35 seconds. Drain the potatoes in a colander and then return to the saucepan. Mash the potatoes and then add the half and half, butter, salt and pepper and continue to mash until smooth. Stir in the yolk until well combined. While the potatoes are cooking, prepare the filling. Place the canola oil into a 12-inch saute pan and set over medium high heat. Once the oil shimmers, add the onion and carrots and saute just until they begin to take on color, approximately 3 to 4 minutes. Add the garlic and stir to combine. Add the lamb, salt and pepper and cook until browned and cooked through, approximately 3 minutes. Sprinkle the meat with the flour and toss to coat, continuing to cook for another minute. Add the tomato paste, chicken broth, Worcestershire, rosemary, thyme, and stir to combine. Bring to a boil, reduce the heat to low, cover and simmer slowly 10 to 12 minutes or until the sauce is thickened slightly. 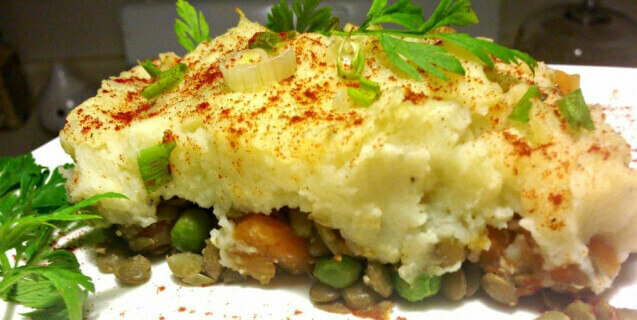 Add the corn and peas to the lamb mixture and spread evenly into an 11 by 7-inch glass baking dish. Top with the mashed potatoes, starting around the edges to create a seal to prevent the mixture from bubbling up and smooth with a rubber spatula. Place on a parchment lined half sheet pan on the middle rack of the oven and bake for 25 minutes or just until the potatoes begin to brown. Remove to a cooling rack for at least 15 minutes before serving. As you know, Bowie was married to model Iman since 1992. 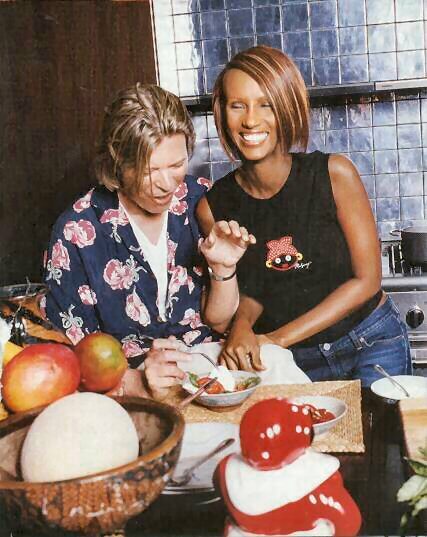 Her being Somali, her ethnic beauty was a welcome shock to the fashion industry and I'm sure she introduced David to some traditional foods and dishes from her home country in Africa. David Bowie was born in Brixton, a suburb of London, which has an amazing public market where folks from all over come to shop for hard to find items and spices. 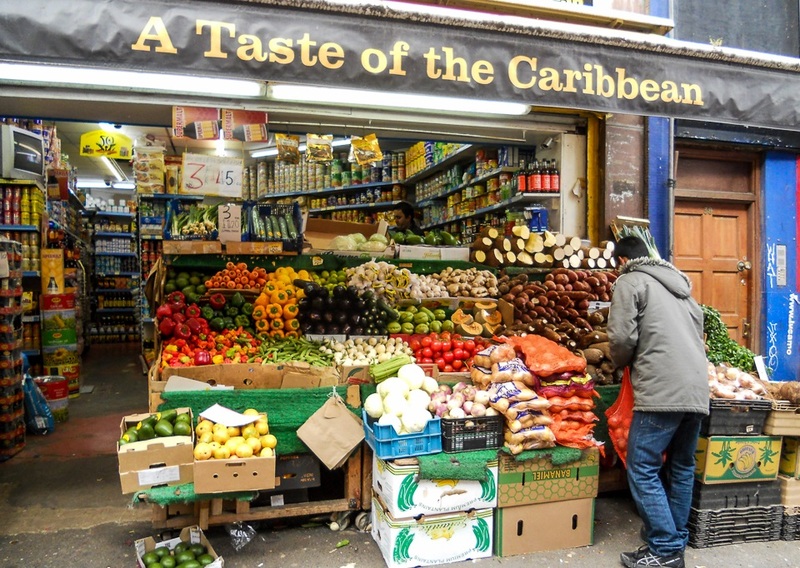 The Brixton Market is known for its largely Caribbean influence, along with, yes, a big African constituency. So, why not combine the two and see what we can come up with? With a love for Shepherd's Pie, I'm sure Bowie loved him some Afro-Caribbean influenced curried meat and rice. I mean, who wouldn't? Iman on one side and his hometown market in another, I found a dish that transcends both cultures and brings the similarities of them together. 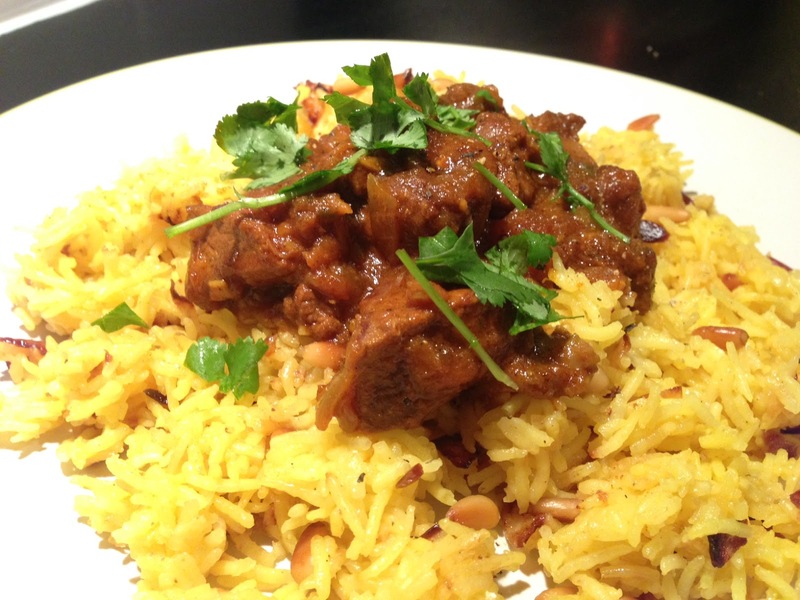 Loved on both seas, curried goat and rice is a great way to get a taste of his home city and the country of his glamorous widow. Mix together goat meat, salt, black pepper, 4 Tbsp curry powder, 1 large onion sliced, garlic, Scotch bonnet pepper. Please in the fridge overnight (or at least 5 hours) to marinate. Remove the sliced onions and scotch bonnet pepper from the bowl of marinated goat meat and set aside. Heat cooking oil in large saucepan on High. Place goat meat in pan and brown to seal in juices. Once the meat is browned add thyme and 2 cups of boiling water; cover, lower heat to Medium-Low and simmer for about 1 hour. Chop 1 medium onion and add to pot along with the sliced onion and Scotch bonnet pepper that was set aside earlier. Add 2 cups of boiling water and bring to a boil. Taste and remove Scotch bonnet pepper based on your taste; add more curry powder to taste. Add potatoes and tomato ketchup; simmer on low heat for 1/2 hour, or until the meat is falling off the bone. To cap off a culinary trip down the Bowie skyway, I found a drink that was named after the multi talented androgynous cynosure. 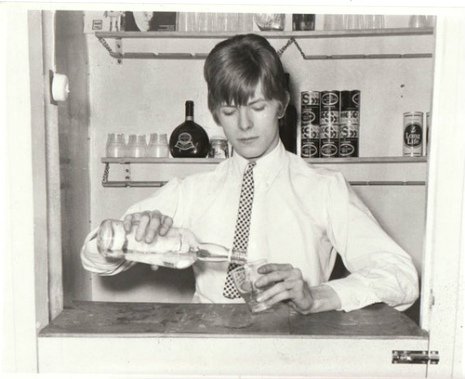 Simply called "The David Bowie", New Deal Distillery in Portland, Oregon concocted a rather sweet and stalwart cocktail to honor the man behind Aladdin Sane. I, personally, haven't tried it yet, but if you out there reading this give it a go, let me know what you thought. I'm sure after a couple of these you'll start to throw glitter in the air, wear tight pants and start warbling "Dance magic dance!" 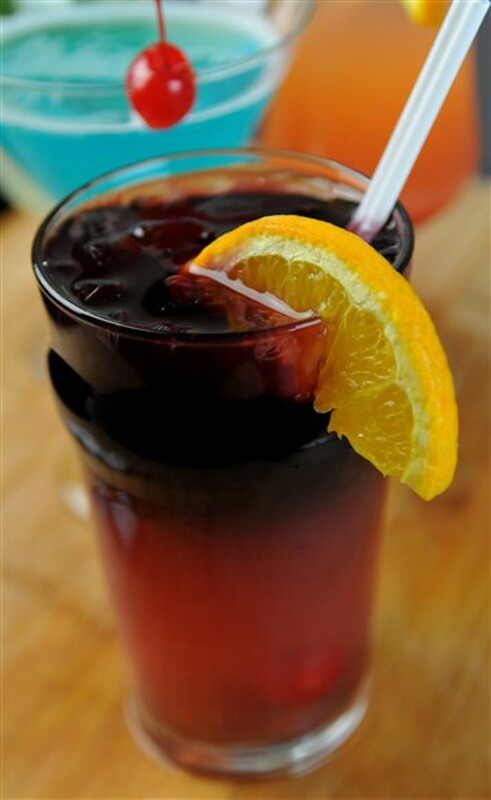 Serve in a high ball glass. 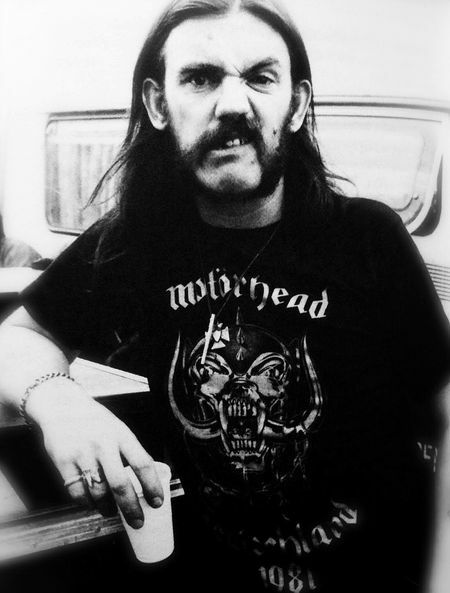 Lemmy was a man that lived by his own premise. He did what he wanted, played the music he wanted to play and, most importantly, ate and drank what he wanted. We all know he was joined at the hip/mouth with his always present Jack and Coke but the guy did like to eat now and then. Except vegetables. He hated vegetables. Except mushy peas. Like all good hard living Brits, Lemmy loved him some properly fried "chips", or what we call here in the States, fries. In a recent documentary, Lemmy takes a break from playing a World War 2 video game to make himself some good old fashioned pub style chips. Carbs are always the perfect antidote to too many whiskey and cola drinks. So if you wanna eat like Lemmy, you need to know how to cook like Lemmy. 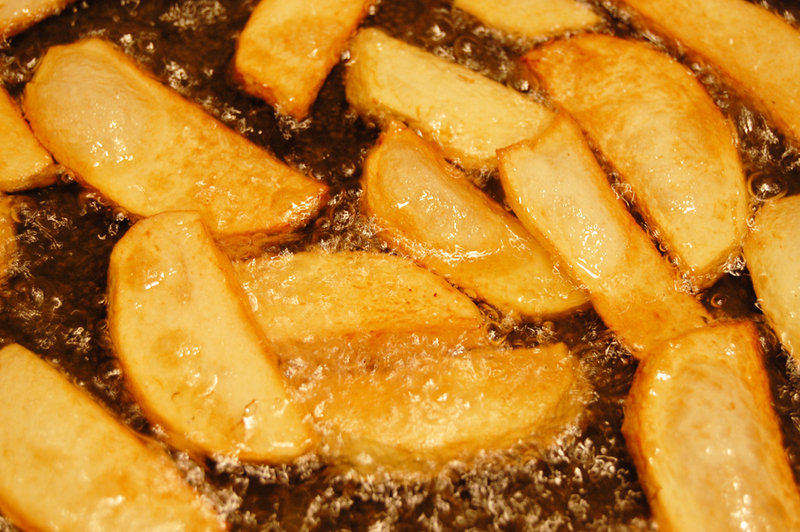 Here is a traditional fried chip recipe courtesy of a chef at a prominent chip shop in the UK. 200g/half pound Maris Piper potatoes (or Burbank russet) per person. You'll need a cooking thermometer, or electric deep fat fryer for this recipe. Peel your potatoes and cut into chips – approximately 1cm for thick-cut chips, half that for thinner ones. Rinse well under cold water, then drain. Put the chips into a pan of cold, salted water, and bring to the boil. Turn down the heat, and simmer until just soft to the point of a knife. Drain, pat dry and allow to cool, then put in the fridge until cold. Heat your fat to 120C/250 degrees, and add the chips. Don't overcrowd the pan. Blanch for about five minutes until cooked through but not colored. Remove, drain, pat dry, and refrigerate. When you're ready to eat, heat the fat to 160C/320 degrees and add the chips. Cook until crisp and golden, then remove, drain, season and serve immediately. 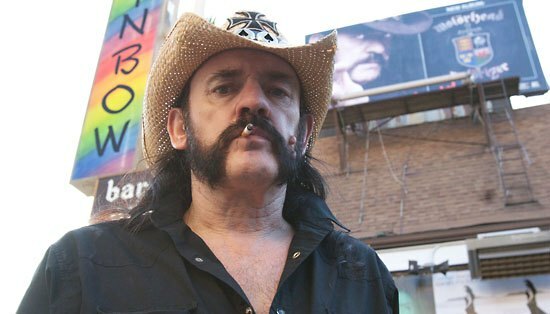 When Lemmy moved to Los Angeles he set up his man hovel near the infamous Sunset Strip go-to palace of historical rock star decadence, the Rainbow Bar & Grill. I, actually, have been here and, yeah...I don't know. It's more of a tourist attraction than some dark bar for aging rock stars to sit in relative silence and drink a good honest drink. In fact, I always thought the Rainbow was kind of horse crap. They serve up "Italian" fare and, believe me, the food ain't cheap. I mean, nearly $20 for a plate of pasta. Ugh. Sure they claim the noodles are handmade in Italy and imported fresh daily, but still. Here's the thing: Lemmy liked to eat his food cold. Don't ask me why and it's a bit too late to ask the gruff rocker himself. Apparently he couldn't afford room service for so long that he wound up eating food left out for days on end in hotel hallways and developed a taste for rather un-fresh fare. Whatever. I don't know. Honestly, I don't care. Lemmy was too influential and individualistic to read too deeply into this quirky palate note. So what I did here was find a copycat recipe from the Rainbow Bar & Grill of their spaghetti and meat sauce (minus the onions because Lemmy hated onions, which is rough because it's normally an essential element to the dish) with the suggestion that, I guess, stock it in the fridge for a while till the steam wears off and you're left with a plate of squishy meat soaked noodles. It's what he would want you to eat to remember him by. In a large non-stick sauce pot, heat 1 Tbsp olive oil over medium high heat. Crumble ground beef into pot (approximately 1 inch pieces). Brown beef, stirring occasionally (I was always taught to stir constantly but this makes your beef gray, let it brown on bottom and only stir occasionally) and breaking up beef as you stir, until cooked through. Drain ground beef, reserving 1 Tbsp fat in pot. Place browned beef in a food processor and pulse until finely ground, about 10 - 15 seconds, set aside. Saute carrot and onion in reserved fat over medium high heat until golden, about 4 minutes, adding in garlic during the last minute of sauteing. Remove from heat (this will reduce splattering) and stir in 2 cans crushed Roma tomatoes, remaining 3 Tbsp extra virgin olive oil, basil, parsley, rosemary, thyme, oregano, marjoram, sage, bay leaves, salt, pepper and browned beef. Return pot to low heat and simmer uncovered, 5 - 8 hours (yes minimum of 5 hours), stirring occasionally. Add broth to sauce to thin sauce if desired (at about 4 hours sauce will be pretty thick so if you want it any thinner just add broth to desired consistency. Also, once it reaches the thickness you want you can cover it with a lid to reduce further condensation). Remove bay leaves and serve sauce warm over pasta garnished with grated cheeses and additional chopped fresh parsley or basil if desired. Finally, Lemmy is known for his love of whiskey spiked cola, better known as a Jack and Coke. The man was so infamous for this that Jack Daniels whiskey actually renamed a limited edition single barrel whiskey after his band. Food and Beverage magazine has decided that a Jack and Coke be forever known as, that's right, The Lemmy. We of the Metal contingency (and me personally) totally and utterly approve of this. So to wind up this ode to our fallen rock god heroes, I now give you the ultimate recipe for the ultimate drink for the ultimate man behind the most ultimate music. Please enjoy responsibly. Or not. Screw it. Lemmy did what he wanted and you should too. Do what you want. Just don't be an idiot about it. The 2016 Guide to Curing Your Hangover!